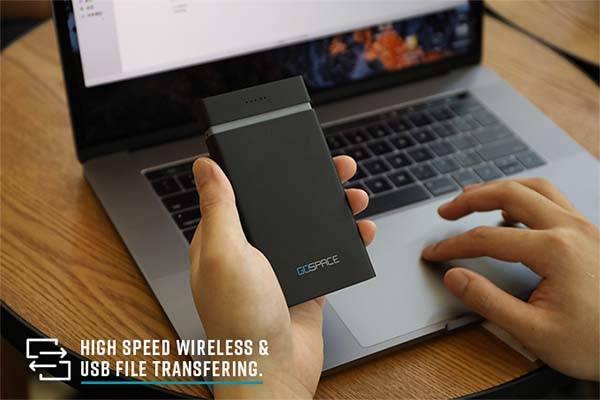 Gospace portable cloud storage device not only wirelessly stores your files, but also serves as a Qi enabled power bank to charge your mobile devices. Like the idea? Let’s have a look. 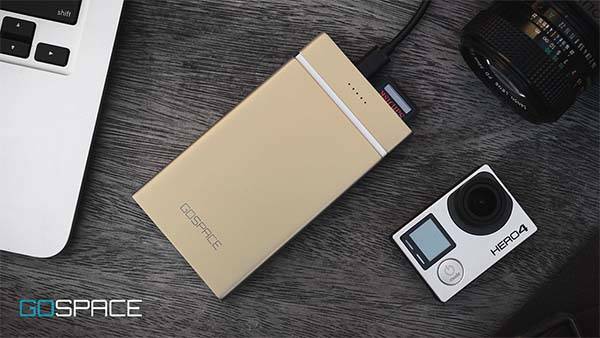 The Gospace is an advanced, multipurpose portable cloud storage device that measures 2.9 x 5.4 x 0.5 inches and weighs 5.36 ounces. As we can see from the images, the personal cloud storage device shows off a sleek, minimalistic appearance design defined by the slim form factor and matte finish with two optional colors. Meanwhile, the compact design allows you to take it with you anywhere. The portable cloud storage features a built-in SD card slot that supports up to 2TB, so you can customize it based on your demands. Furthermore, Gospace features 5G WiFi that delivers transfer speeds up to 866 Mb/s, so it’s capable of streaming your favorite movie or music effortlessly. And using the USB-C or USB 3.1 port, it also reads fee data from a computer at speeds up to 10GB/s. As a cloud storage device, Gospace is able to connect up to 8 devices for easy to share files with friends. Using its custom app, you can not only manage your files, but also sync them with your Google Drive and Dropbox. Moreover, the Gospace serves as a WiFi extender that extends your WiFi to hard to reach places in your house. 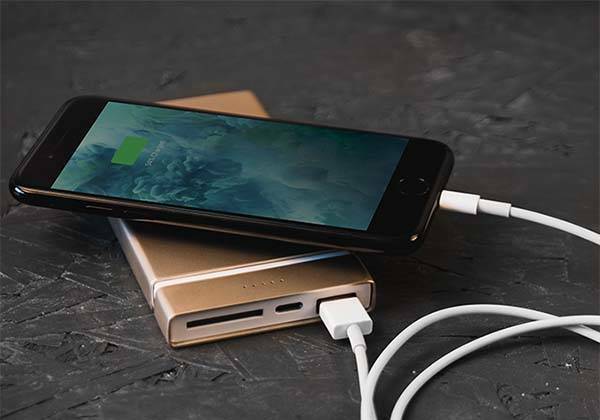 It also triples as a portable power bank with 5500mAh battery capacity, and built-in wireless charging pad allows it to charge Qi-enabled mobile devices wirelessly. The team behind Gospace is raising fund for the product on Kickstarter. We can pledge $69 to preorder the portable cloud storage device with Qi-enabled power bank. It will be shipped in May 2018.